Welcome to the Web Site of The Maven, the long established fanzine and newsletter service for The Church. 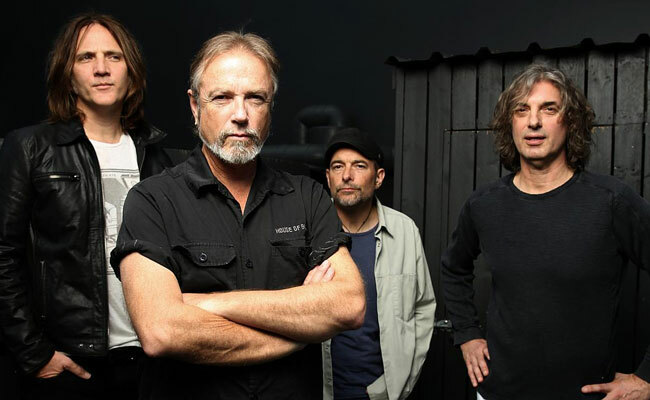 Featuring online resources of reviews and features, future special edition details, back issues, Church and related items for sale plus links to the other great web resources for the band feature along with brand new and unpublished reviews. In time previous issues articles, interviews and reviews will feature here too. The revised, revised master plan! The days of taking six months to publish a review of the gig you saw last night, lug it round Europe by the box full and bring a good percentage of it home again have gone however as and when possible special editions of the printed versions will appear. The future really lays in having an online presence to sit alongside other established sites such as the Discography, the forums, official news etc. The unique selling point would hopefully be the blending of review, news and interviews, magazine style in a mix and match format, effectively compiling your own desired magazine contents from the resources offered offering a description of the releases, an interpratation and comment on the news and those in depth interviews that asked questions that dug deep into the bands past, present and future. The album information sheets that uniquely blended formal press release and descriptive review for example were a unique presentation and a pointer towards a "go-to" resource. The discography of The Church and its members is huge but hopefully, in time, the all encompassing breadth of coverage will give exposure to releases on the fringes of their universe and help more and more people discover the hidden gems and established diamonds. Once the flow and framework of the site is settled the plain old Word docs will be replaced by glossier graphic filled PDFs for more of a magazine feel, please stick with it. 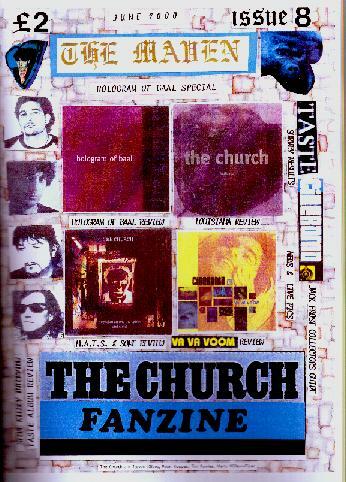 The fanzine began in 1994, one of the reasons for it was that I had this growing love of a band and didn't have any other fans to share it with, there was a cultish element with a number of the releases being import only and also I detected a need to pull together information and news of all of the Church, solo and side projects which being on different labels with different management etc wasn't being done elsewhere - putting all of the info in one place. Now with the acceleration of the web these sort of things are catered for and the web has the luxury of being able to be instantaneous with pictures of tonights gig immediately online alongside reviews and opinion. Hopefully however there is still room for the humble fanzine, printed publications and special editions of The Maven will be synchronised with web content, I just feel that although other sites and other people have news, discography, gigography, forum and chat bases covered, there's room for a hub of review and interpratation, the 'zine initially needed a presence online as any venture did but now rather than use it to signpost the fanzines availability and offer tasters of articles it has the scope to become a more useful and practical resource than the printed versions. With the forthcoming addition of exclusive interviews and features on record collecting the content will become more fully rounded than just reviews with the idea of a pick'n mix opportunity to perm your own blend of content based on your specific interests. Church & related CD's / Vinyl for sale, please contact for current list.